Unfortunately, it does not tell you how to access it from the terminal, but thankfully it is very easy. 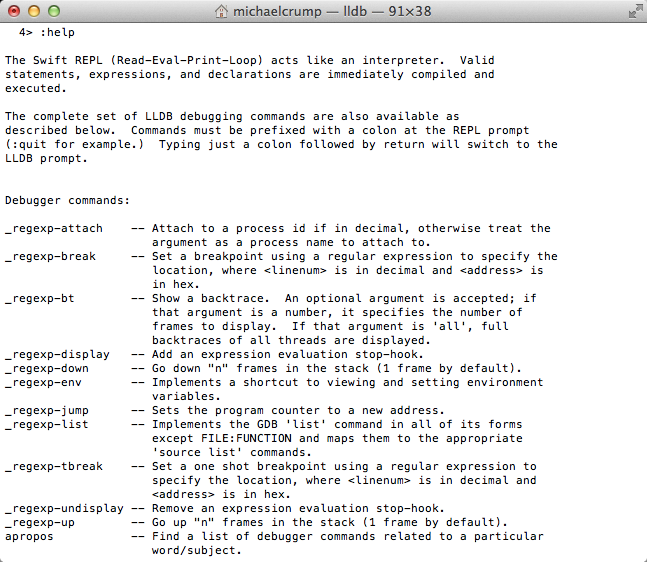 You should see the following in your terminal window. 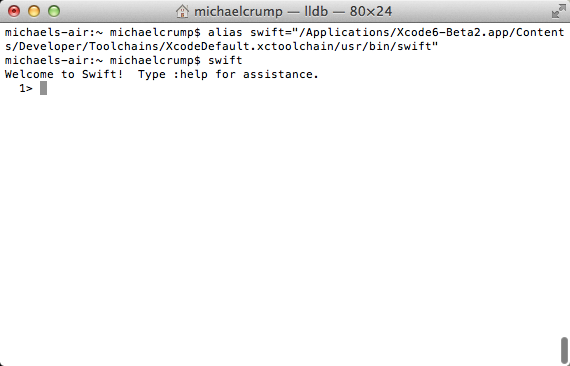 Now simply type swift and you will see the welcome message. Note: When a new beta comes out just update your alias with the same command, but new app name… i.e. Xcode6-Beta3.app. 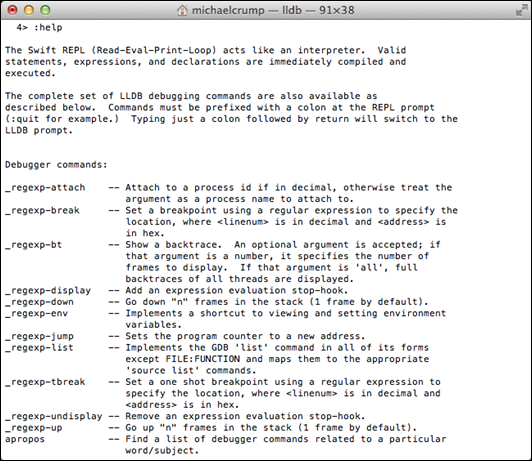 Finally, if you type :help as stated when it first runs you have the LLDB debugging commands at your fingertips. 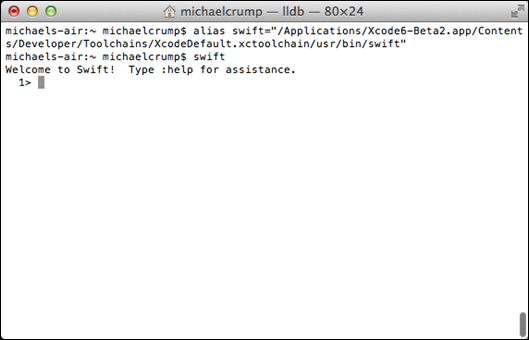 Why wouldn’t you just load the Swift Playground? Good question. I personally love the ability to play with the syntax without launching Xcode 6 Beta and opening a Swift Playground. Also, I am bound to an NDA that says I can’t post screenshots of Xcode 6 until the final release. This allows me to get around that.